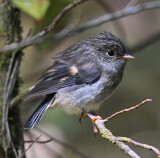 I have recently seen two black fantails, very close in the trees and followed me while walking. Almost, I could touch them. The sun on them made their feathers very shiny and bright. a week ago I saw seven fantails flying around a walk way by the Ashley River and four of them had very white tails, almost see through. They were fledglings. Two others had colour on their tails but still a lot of white. Their fronts were also very pale but the heads were almost adult colour. Absolutely beautiful and not at all afraid of me. 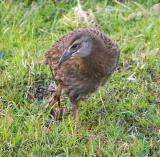 Help- I saw a bird yesterday that i've not seen before, it was in the Square in the middle of Palmerston North, it was the size of a small Quail, looked like it was flightless, and was the shape of a Weka with red eyes. Does anyone know what this might be? I found a bird in my house how can I add the picture? It was yellow body with brown wings and reddish face? Can someone help - we were camping at Lake Ohau in Otago last week, I was on tne phone to my son when this small bird flew down and sat close to me in the tree. He was about the size of a sparrow or fantail, and had a black head, black back and light grey front. He was extremely friendly and satvthere for quite a while while I was on the phone. I cannot fineca pic of him antwhere. Any ideas? 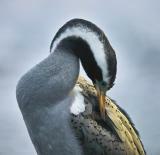 Beautiful images that helped me describe the birds I photographed on my recent holiday. 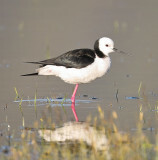 I am on my New Zealand chapter of my autobiography and your photos helped me identify some of the birds I took photos of. Thank you. They are all beautiful. 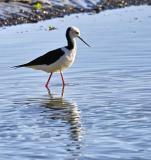 I was amazed to see so many English birds that have found their way to NZ. Sparrows & Starlings are in Australia but luckily not in WA where I am. hi can any one help me to identify a small green owl i saw many years ago around mangakino . south waikato area a friend and i saw it during the day in native bush on our way to catch eels thanks. 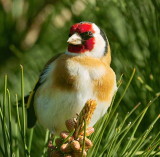 hi there was just wondering if any one could help me work out wat this bird is? It was a light grey with a hint of purple and yellow and had red eyes and on the tail feathers was abit of white and it was tiny like a fantail it also had long hairs at base of beak. it flew in to my window and i saved it and let it go again now it hangs round the house very cute. What a beautiful selection of photos. Great to be able to identify some which I have seen. Thankyou for sharing them with us. I forgot to mention it was a very cheeky tomtit. So cute and beautiful colours. beautiful photos. I was able to identify a bird from your photos I saw down South when we went to look at the lime stone arches near Karamea. Great Pics.Will like to see more. Similar to the quail, but longer tail, more green/gold/brown, curved bill, quite a long feather out of top of head, with tufted end, high up in Acacia tree (don't think quails fly). Sounds almost like quail or phesant call. Thought it was a cukoo to start with. 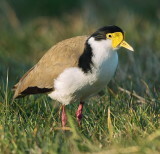 Hi, Am in Carterton, Have just seen similar bird. spent ages trying to get a clear photo of it. Got one but not very clear. Have spent all maroning scouring internet to find out what it is.Will attempt to photograph over next few days and post photo's for ID. to Chris - re your comment of 27 October about the bird you saw in Cashmere CHCH that you can't identify. 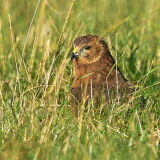 I have just seen a bird of the same decription in St Martins ChCh and I also can't identify it. Did you get any response to your comment or find out what bird it is? I would love to know if you did. Emma. Hello, we have a bird arrive at our place and cannot seem to find out what it is and where it would have come from. 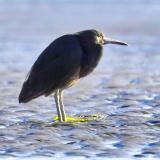 It is about the size of a heron, with a long neck, a long beak with a small hook. It has short legs and webbed feet. The back and wings are grey, front white and has a small fanned tail. We wonder if it is a young bird. It just wants to sit in a tub of water, and doesn't want to fly. We are on a lifestyle property just north of Christchurch. Can you help? Like Ann (below) I've seen a most unusual bird here in our garden in Island Bay - pigeon sized, chubby-looking, dull brown colour with a white ring around its neck and a tufted feather coming from its head. 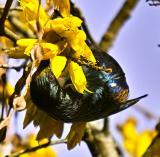 The Karori Sanctuary (Zealandia) has meant we now get plenty of tui chortling away - could this be a juvenile tui? What a wonderful collection - all beautifully photographed! Hi I live in NZ and I saw this bird in our tree and it has been around for at least a week, every day. I don't know what it is and it's driving me nuts LOL I don't think it's a native NZ bird and I don't think it's from Australia as I have a book of Australian birds and it isn't in there. In the 9 years I've lived in this house I have never seen this bird. It is black with blue green on it's wings and belly and tail. It's tail is like a fantails. There is a white stripe about half an inch or so from the ends of both wings. And the bird has an orange crown. It is blackbird size. 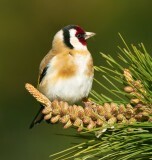 Amazing photos - I find the birds so difficult to photograph! Tiritiri Matangi was the best place. 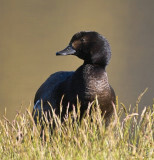 Lovely collection of bird images from your country. I've really enjoyed them. Thanks for sharing! This is a lovely gallery. You have some incredibly detailed images. Gets my vote.